Dublin Simon Community’s Supported Temporary Accommodation Services provide short term accommodation and needs based support for men, women and couples who are homeless. 906 people accessed our emergency accommodation in 2017 with care plans focusing on health, life skills and education. All our emergency services are provided on a low threshold basis with a harm reduction model and a full suite of services for clients. The aim of our emergency services is to support our residents to move on to and to be able to sustain long term accommodation. We have several measures in place to ensure a quality, wraparound support service is provided to enable people to move out of homelessness. Care and case management are provided. We work with clients to implement individual care plans to help them address difficulties that may be barriers to moving out of homelessness – this includes holistic needs assessment, person centred support planning and support to complete identified goals. A programme of meaningful activities and life skills development is delivered on site. We provide participation and development services and also have strong links to other services such as foundations for tenancy skills, Safetynet GP services and local community services. We have rigorous health and safety assessments, reviews, policies, audits, a maintenance team and full time cleaners. Breakfast, lunch and dinner are provided for all residents. Our emergency shelter on Harcourt Street is a low threshold Supported Temporary Accommodation which provides accommodation for 30 single men, single women and couples who are homeless. The service is open 24/7. People who are homeless can be referred for a night or can stay for up to six months when they are referred to a long-term bed. 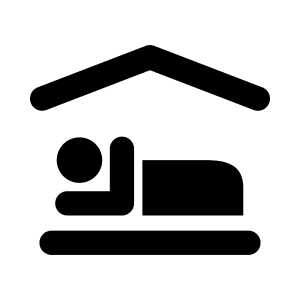 Maple House is a 24/7 low threshold Supported Temporary Accommodation (STA) service for 34 single men, women and couples who are homeless and over the age of 18 in Dublin. The aim of Maple House STA is to support our residents to move on to and to be able to sustain long term accommodation. Carman’s Hall is a 51 bed Supported Temporary Accommodation unit provided in partnership with the Salvation Army. The service is open 24/7 and provides accommodation for men, women and couples who are homeless. Longfields is a 30 bed Supported Temporary Accommodation Unit, provided by Simon in partnership with the Dublin Region Homeless Executive. The building provides a positive and inspiring space to support clients in changing their lives. Referrals to our emergency accommodation are made through the Central Placement Service (CPS) located at Parkgate Hall, 6-9 Conyngham Road, Dublin 8 or the Freephone service, 1800 707 707. Please click for additional information on the Central Placement Service.